Guy Maddin is one of Canada's most celebrated filmmakers, the director of such delirious films as The Saddest Music In the World and My Winnipeg. 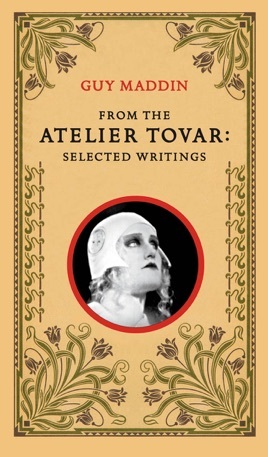 From the Atelier Tovar gathers the best of Maddin's writing: his journalism, unpublished short stories and film treatments, and selections, both lurid and illuminating, from the filmmaker's personal journals. What emerges is both a fragrant potpourri and a treasure trove, a singular portrait of this very unique artist.